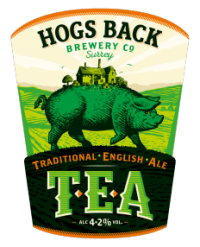 Hogs Back Brewery's top selling, award winning, best bitter. T.E.A. is an enticing amber colour. TEA is refreshing, hoppy and well balanced. Surely the best drink of the day!